When you see people chewing gum, what you may not realize is that it is actually one of the oldest treats around. Samples of chewing gum have been dated that were as much as 5,000 years old. Early gum samples, complete with tooth marks and dating from the Neolithic period, have been found in Finland. These samples were made from birch bark tar. Early chewing gum was not just chewed for fun and enjoyment. Some cultures, such as the Aztecs, used chewing gum as a breath freshener. In this case, the Aztecs made their chewing gum from a substance known as chicle. Chicle is a natural latex product that is still being used in some areas of Japan and other countries as a base for chewing gum. 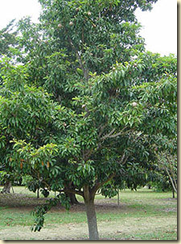 It is harvested from the Manilkara chicle tree, an evergreen that grows naturally in the region. Chicle has a high sugar content and a subtle flavor that makes it popular with many people today. The name means “sticky stuff”. In order to harvest chicle, a series of cuts are made in the trunk in a zig-zag pattern. This allows the sap to drip out and it is collected and boiled. The methods for gathering and processing chicle have not changed in many years. 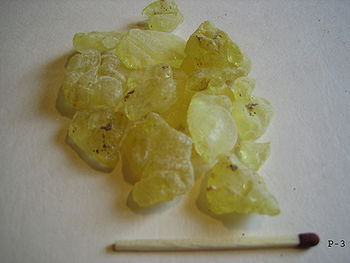 Mastic gum is a form of chewing gum that was used by the Ancient Greeks. 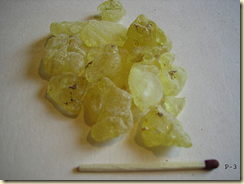 Like chicle, mastic was used for health reasons rather than just as a treat. Mastic was made from the sap of the mastic tree and is used by many as a cure for snake bites. It has also been used in India and Persia as a way to fill dental cavities. 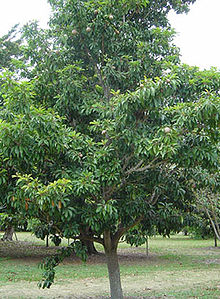 It was also believed to be a good cure for digestive problems, bronchitis, and for blood conditions as well. 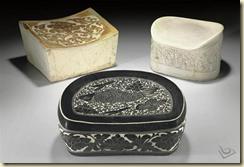 Mastic was capable of making the breath fresh and whitening the teeth and was often used in harems as a way for the women to care for their teeth. Some of these claims of health benefits may have been legitimate. Mastic has proven antibacterial and antifungal properties and contains antioxidants that can help a person maintain good health. In North America, the sap of spruce trees was used as chewing gum. Spruce gum was also chewed by New England settlers as well and other parts of the spruce tree were used to maintain good health and ward off scurvy as well. Unfortunately, many of these natural resins were difficult and expensive to produce in any large quantity, so it was not surprising that substitutes were found. In 1850, gum was produced that was made from paraffin wax instead of spruce wax. It became more popular than spruce gum in North America and it was no wonder that in 1869, methods of chewing gum were patented. Although much of the gum that is chewed today is made from synthetic ingredients there are some manufacturers who are still making gum from chicle. As well, gum has come full circle, as many chewers use it to help whiten and clean their teeth and ward off tooth decay. Chess is a fun and exciting game that has been played for thousands of years. It is a game of strategy and planning that can be extremely exciting to watch. Many players believed that the way someone played chess indicated how they would react on a field of battle. While many people who enjoy the game these days know that it has been around for quite some time, they may not know exactly how long the game has been played for. The game is believed to have originated in the northwest part of India during the 6th century. There, it was known as chaturanga and the pieces represented four different military divisions. The pieces were divided into infantry, chariotry, calvary and elephants instead of the pieces that we know and use today. The game was also being played in Sassanid Persia around this time although there it was known as chatrang instead. The pieces that appeared in the game chaturanga would eventually evolve into the modern day pawn, knight, bishop and rook pieces. Since this earlier version was based so much on the military, it is no wonder that players believed it would give insight into an opponent’s style of military strategy. As the game spread throughout Europe, its name changed several times until it ultimately became known by the Persian word “shah” or “king”. The word “checkmate” came from the phrase “shah mat” or, “the king is dead”. 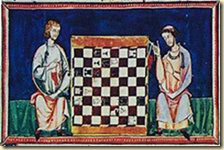 Although the game was initially viewed as a curiosity and the pieces were often collected as curiosities rather than as game pieces, chess was being played throughout much of Europe by about the 9th century CE. In fact, it was believed that Muslim traders actually brought carved chess Kings to Europe years before the game itself became popular. By 1000CE, the game had spread completely through Europe and was appearing in literature and instruction manuals such as the Libro de los juegos, a famous 13th century manuscript that included instructions on how to play other games as well. The rules and pieces that we recognize today began to appear around the year 1200 CE although many of the major changes that took place were not made until around 1475 CE. The queen had not existed as a piece until this point. She replaced a piece known as the vizier and, although she appeared around the end of the 10th century she was not the most powerful piece until around the 15th century CE. Once many of the rules became standardized, it was not surprising that books on strategy began to appear. These writings appeared in the 15th century CE and several of the most important early books were written by Spanish authors. These books began to analyze games and suggest different opening strategies that may have helped players achieve victory. Chess continues to be played in many countries. Newer versions of the game have been named “Queen’s Chess” (due to the powerful nature of the queen as a piece) and “Western” or “International Chess” due to the fact that rules about stalemates were developed in Western Europe during the 19th century CE. The Tophet- Ordinary Cemetery or Site of Child Sacrifice? 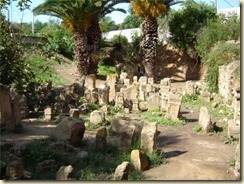 Although many ancient cities have been destroyed by time, the ruins of ancient Carthage are still visible. The city was dominated by a large necropolis or burial ground. 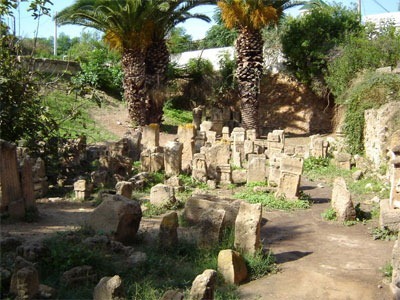 One area of this necropolis is known as the Tophet, a massive child cemetery where the remains of approximately 20,000 urns have been unearthed. The remains inside were charred and often belonged to newborn babies although remains belonging to children as old as two. A number of theories have arisen about how the children came to be buried in the Tophet. Worship of the god Ba’al Hammon and the goddess Tanit called for child sacrifice and it is the remains of those sacrifices that are found buried in the Tophet. Other theories are that the infants had died naturally of causes such as disease. But if the babies in the Tophet had been sacrificed to Tanit and Ba’al Hammon, where did they come from? Were the Carthaginians sacrificing their own children? And how many children were sacrificed at one time? If historical accounts are to be believed, the babies that were sacrificed were often the children of servants or were purchased by affluent Carthaginians rather than offering their own children to the flames. 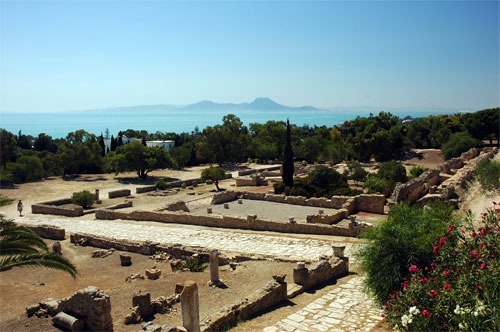 Some circumstances called for special sacrifices, however, and in cases such as famine, war or other disasters, Carthaginians may have been forced by the priests to offer their own children up in sacrifice. One story states that in 310 BCE, up to 500 children were killed and their bodies were then placed into a sacrificial fire pit. The urns were used to store the remains which were gathered up after the ceremony was complete. 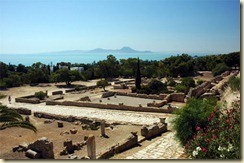 A number of historians wrote about the child sacrifice that was practiced in Carthage. Noted historians and philosophers such as Orosious, Philo and Plutarch mentioned that child sacrifice was performed at the Tophet (a name which actually means “roasting place”). However, some individuals believe that since the authors of these reports were Roman for the most part that it may have been an attempt to slander the Carthaginians and turn public opinion against them. The Carthaginian military commander Hannibal vowed to destroy Rome and travelled across the Alps accompanied by his army and a number of elephants in an attempt to take the city itself. He occupied much of Italy for approximately fifteen years before being defeated by the Roman general Scipio Aemilianus. Rome and Carthage fought in a series of Punic Wars which ultimately led to the fall of Carthage in 146 BCE. Whether you believe that the Tophet was a scene of numerous child sacrifices or you believe that the area was a graveyard for children the facts remain the same. The area, which was estimated to be as large as an acre and a half by the fourth century BCE, was home to the remains of more than twenty thousand infants and children. It is no wonder, then, that visitors to the area still find the Tophet to be a spooky and unnerving tourism destination. The modern pillow is often the ultimate in luxury. It is thick, plush and filled with a variety of materials that are designed to help us get a great night’s sleep. Today, if someone wakes up with a sore neck or feeling tired, they often blame their pillow. When looking at some of the ancient floor cushions that archeologists have found, it is easy to assume that the pillows of today were very similar to the head pillows of ancient civilizations. That assumption is incorrect. While some individuals in ancient cultures did use softer pillows filled with down or other materials, they were not always the norm. More often, head rests made of a variety of unusual materials were used by ancient cultures while they slept. Japanese geisha thought nothing of resting their heads on curved wooden head rests. This was done so that the head would be supported but the elaborate hairstyles they wore would not be crushed or destroyed. A geisha had her hair molded into beautiful shapes with the use of hot wax and placing weight on it could cause a hairstyle to be destroyed. While the head rests kept the hair safe they were not overly comfortable. In ancient Egypt, there were examples of stuffed or upholstered pillows that were used. Egyptians also chose to use a curved or crescent shaped piece of wood as a place to rest their heads. The beds themselves were not overly plush as they were usually made up of a woven mat that was placed on a wooden frame. The curved wood rested on a short pedestal which raised the head. Other archeological ruins showed that some Egyptians placed their heads on curved pieces of stone rather than on wooden headrests. Pillows and beds were not overly plush because Egyptians were looking for ways to stay cool and a thick mattress or pillow would have been too warm for sleeping. In China, pillows were used in some areas of life but for sleeping, a hard box made from stone, porcelain, wood or metal was more common than an upholstered cushion. They were often highly decorated and featured colorful patterns. Common patterns that were used included images of mountains or water, human figures, plants or animals. It is often possible to tell where and when a Chinese pillow was made just by the decorations that were used or the colors that were added to the porcelain. In some cases, such as in Carolingian culture, cushions were not used however a portion of the bed was raised in order to elevate the head. There are some examples of metal bedsteads that had elevated heads and these were used until the 13th century when it was more common to use cushions to elevate the upper body. Once pillows filled with soft material or padding became more common they were often seen as status symbols and were covered in very expensive and luxurious fabrics. Pillows were used not only on beds but also as a form of seating or furniture and were often used on the floor or on other pieces of furniture as well.